It remains impossible to talk about the 2014 Midterms without turning immediately to the big question – the only question –which party will take Senate Control? And who are we to fight that power? So while we wait 6 weeks for actual results, we turn instead to predictive analysis –deep dives into dozens of race-by-race polls that seem to be released hourly. What do they show? How many seats are truly still in play? Where should we focus attention, and within that focus, what should we be looking for. And most simply, can’t anyone just tell us who’s going to win? 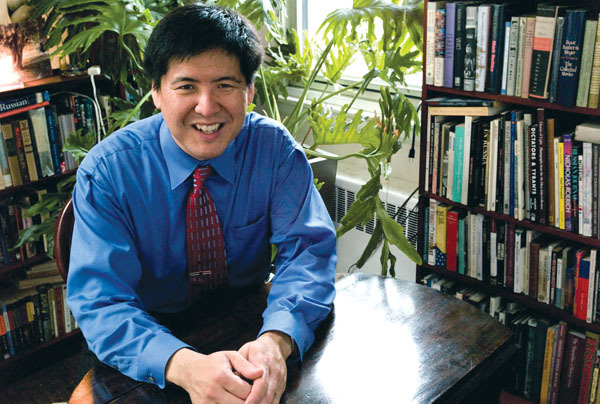 Sam Wang is an Associate professor of neuroscience and molecular biology at Princeton University. He is also founder of the Princeton Election Consortium, where he publishes one of the most-watched polling models around. Sam’s model has come under some scrutiny this election season, as it’s been one of the few models consistently predicting that the Democrats will retain the Senate. What does Wang know that the rest of us don’t? I saw a poll result on a facebook post earlier saying that 50% of Americans want a third party. Any word on that?